Walter Scott shooting: Former NYPD Chief of Department Philip Banks III on how to restore faith in the police. How Can We Restore Faith in Police? The NYPD’s former chief of department talks candidly about what police need to do to win back the public’s trust. 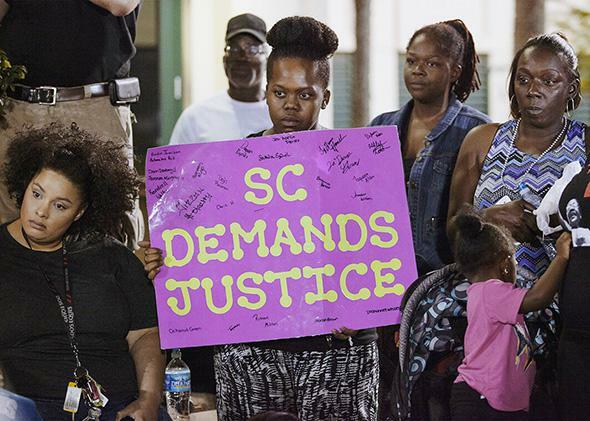 A protester holds a sign during a rally in North Charleston, South Carolina, on April 8, 2015, following the shooting death of Walter Scott. This account was quickly discredited by the publication of video footage showing the police officer shooting Scott in the back while he was trying to run away. The shocking video, and the way in which it contradicted the officer’s account, confirmed a suspicion held by many around the country: When cops break the law, they are protected from the consequences. The system does little to make them accept responsibility for their actions—and might even help them evade it. The tragic incident in North Charleston and its aftermath will surely lead to the further deterioration of the public’s trust in law enforcement, which has been repeatedly shaken over the past year with the high-profile killings of Tamir Rice, Eric Garner, and Michael Brown at the hands of police officers. This leaves the law enforcement community with a problem: How can they convince the people they’re supposed to be protecting to see them as the good guys again? 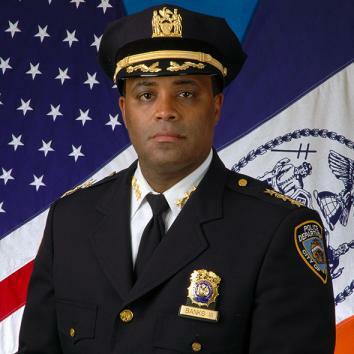 Philip Banks III, former chief of department, NYPD. One idea for how to reform the system comes from Philip Banks III, who retired from the NYPD late last year. Banks, who served in the NYPD for 28 years, spoke to me this week about his proposal for rebuilding law enforcement’s credibility and explained why incidents like the one in South Carolina are so damaging to the work of good police officers everywhere. You saw the Scott video. What did you think when you saw it? Horrific. Horrendous. Based on the video I saw—and I can’t imagine anything else being added to the picture that would change my mind—it was probably one of the most indefensible things I’ve seen. 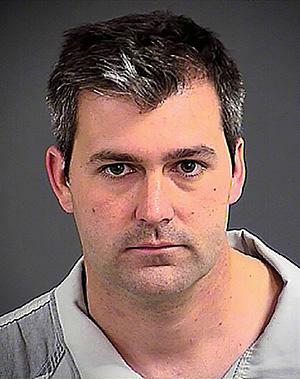 What specifically about what the officer did was so horrific and indefensible? Well, he was no longer in danger. He was no longer in any physical danger, in any form or fashion. Nor was anybody else in danger. Before the video came out, the account given by the police department as well as the officer’s lawyer was that the officer had used his Taser to detain the suspect, but ended up shooting him after the suspect gained control of the Taser and tried to use it against the officer. What do you think explains the difference between that and what we see in the video? It appears somebody intentionally deceived the investigation. Because what was reported in the media was clearly not what happened. And I’m not so sure if there’s even a gray area. Let’s say that at some point prior to the video, the person did try to take his Taser—that’s not when the shots were fired. The shots were fired when the person, without a weapon, was exiting the situation and the cop was in no danger. And it took a video to say that the entire preliminary investigation they were leaning toward was 100 percent wrong. I think a lot of people, when they look at this, they think, How often does this happen? How often are official reports false? That’s the question that has to be answered. You have to ask yourself: How many times, when a police officer is involved in an incident, and there’s use of force, does an investigation find the officer to have been at fault? And if that number is minuscule—you know, if it’s a fraction of a percent of all investigations, the question has to be asked: Can we trust the validity of those investigations? Why is the number so minuscule? Because the investigation gives the officer the benefit of the doubt, which it should. But one could argue that it gives him a double benefit of the doubt, which it probably shouldn’t. The facts are supposed to lead the investigation and nothing else. It’s supposed to be devoid of any type of favoritism. Aside from leading to miscarriages of justice in individual cases, what effects do flawed investigations like this have? If this police department in North Charleston has another shooting tonight, where an unarmed person is shot, and there’s no video, there will be a complete mistrust in the preliminary investigation—even though that investigation may be accurate. We all suffer when we go out there and do our jobs—well, not me anymore, but others—when we do our jobs legitimately and the people lack confidence in the system, which is supposed to protect them. The officers who do their jobs every single day the way they’re supposed to be done—they get victimized. So the question becomes: How do we restore faith and protect the good cops who do their jobs day in and day out the way they’re supposed to be done? How do we restore people’s confidence in the system? I think that’s what needs to be looked at. What are our options, in your view? One of the ways in which we can do it—and I don’t profess there is only one way—is to have a group of people—local people, independent people—who are given access to all the information that’s gathered during the initial stages of each investigation. Not to get in the way, but to be aware and privy to all the information in real time. I think that would restore confidence in the police department when they say, “This is our conclusion.” If you had a member of the local clergy, the local advocate, the local whoever all have total access to every stage of the investigation, then people would be more inclined to believe it was a fair and honest and impartial investigation. So would this group of independent observers show up to the incident scene whenever something like the shooting of Walter Scott happens? Yes, absolutely. The initial response to those scenes has to involve an entity that’s not local law enforcement. Depending on how you break it out, geographically or however, there should be people who have access to the heart of the investigation. Not to impede it but to be the eyes and ears, and to ask questions of law enforcement—why this, why not this. That way when the final ruling is out, someone independent has been part of the process, and they can say, “We were privy to this investigation, and everything in this report is what an impartial investigator would derive based on the facts.” Just the fact that they were co-signing it would go a long way toward transparency. Why is this kind of fix necessary? People lose confidence in systems, and a few things can restore that confidence. One of them is the messenger. So when the messenger is a credible messenger in people’s eyes, that messenger can say the same things as someone they don’t think is credible, and they’ll believe it. You mean when you have a case like the South Carolina shooting, where we can see that the statements made by the department before the video came out sounded no different from what other departments have said in similar situations? Absolutely. People say, “We’ve lost the ability to determine whether you’re telling the truth and when you’re not telling the truth. But historically we know there have been times when you did not tell the truth.” You can’t be a liar today and then say, “I’m telling the truth tomorrow.” So the question is: How do you protect cops, and how do you protect the system? You have to restore people’s confidence that this system is a valid system. But isn’t the problem that when a police officer is investigated, the detectives doing the investigations are deliberately protecting him? No. When you respond to the scene of an incident, when you’re investigating a crime, there’s an inherent bias you’re going to face if you’re investigating cops, who are part of the same organization as you. You don’t have to do anything intentionally wrong in this situation. There’s a subconscious that you bring to the investigation. In my opinion you have an inherent [inclination] to defend the shooting. Because you place yourself in that particular situation, or the situation that’s described to you, and you’re automatically looking—and it’s very subconscious—to defend the actions rather than gather the evidence. So what I’m suggesting is we find a way to put the validity back into these investigations, because I believe 90 percent or more of them are done correctly. And those 90 percent that are done correctly are being criticized because they’re put into the mix of the others that may not be. And the solution you’re proposing is to convene a group of people from the community, assign them to particular jurisdictions, and have them be involved in the preliminary investigation whenever there’s an officer-involved shooting? Do you think having those people around would also keep the investigation more honest? That’s a second benefit of it. The first benefit is to rebuild the credibility of law enforcement? Yes. And the second part is to keep the investigation honest. And how do you think it would have that second effect? So would these people be elected? Appointed? What kind of people are you envisioning being on this team? I don’t know. But I’ll tell you this: There are a lot of people in law enforcement who are smarter than me, and there are a lot of people in the community advocacy world who are smarter than me. And there’s a lot of just regular citizens who are smarter than me, who can vet all that out and determine what is the best model. Your bottom line is that it should be laypeople—civilians who are there to be the eyes and ears. How do you think police officers you worked with would react to having civilians in their midst like this? Let me tell you something about cops. First of all, I think NYPD cops are the best in the world. I really believe that. It may not be accurate, but I believe that, and nobody’s going to tell me they’re not. But there’s an old saying in law enforcement: There are two things cops don’t like—the way things are, and change. But ultimately, in the long haul, it would be beneficial for them.